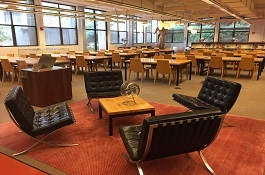 The Anthropology Library provides both large study tables and a small amount of soft seating. The Bioscience, Natural Resources & Public Health Library provides a variety of study spaces to accommodate individual as well as group study. The Business Library provides a variety of spaces for group and quiet study. Haas students may reserve group study rooms and cubicles within the Library. 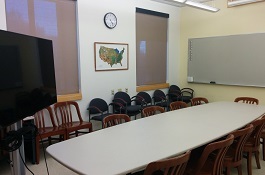 The seminar room provides seating for 10-20 people, has a whiteboard, chalkboard and a presentation display. Study rooms close one hour before the library closes. The Environmental Design Library provides a variety of study spaces accommodating individual, small group, and large group study. 10 seats around conference table, large monitor and whiteboard. 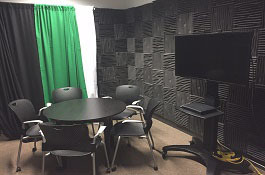 Acoustically designed for recording audio or video on your own equipment, rehearsing class presentations, conducting remote job interviews. Seats up to five.